There are a few things you need to consider before buying a tablet. First, you need to know what are the best budget tablets for you, what are your preferences and what are you going to use it for. It all depends on your needs. For instance , you probably need less storage than you think because it can be increased by adding a memory card . Also, see whether you are a private user or a business user because the price may vary due to the above. Best budget tablet should fit perfectly in your hands ( if you choose the 7-inch model), should have a thinner frame for easier touch management, high internet surfing speed and a clear and sharp picture preview. So, how to know that you are buying a quality item? The most popular must be iOS 7 , Apple’s mobile operating system which attracts most of it’s fans with it’s simple interface and the best app selection. The second one is Android which is more costumizable and has a pure version of Google’s OS. There is also Windows 8.1 with it’s preinstalled Microsoft Office package . Now, we also need to elaborate the importance of telecommunication in the mobile network. Currently, the most popular mobile network is 4G , successor of 3G and WiFi. What is the difference? 4G allows high speed performance , surfing the web with ease, watching your video files vithout interruptions , while 3G is quite slower, not as much user friendly as 4G , and WiFi only is probably the best choice for home use. Finally, whether you are a gamer, a music or a video fan you would , presumably, like your tablet to have a long lasting battery,so never settle for less than 7 hours since the average battery life ranges are up to 14 hours. In the end it all comes down to price tag. Android tablets tend to be the cheapest, in the range between $100 – $300, but not so far from it you can find a list of also good quality tablets going from $300- $400 . There is another „ replace your laptop“ category from 400 $ and more. This is for you if you are looking for some real productivity and diversity. Amazon Kindle Fire HD 7 has a big storage , high quality Skype calls, great sellection of multimedia files , such as movies and music, and good speakers to support that . With it’s high resolution , fast processor and good parental control ,it will easily gain your trust. 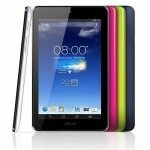 Asus MeMO Pad HD 7 convincingly leads in battery durability . You’ ll have 10 hours of non-stop fun with 16 GB of storage. 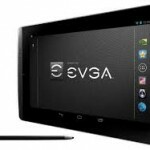 EVGA Tegra Note 7 , on the other hand, leads in graphic quality and comes with pen-enabled apps so it’s really easy to use. Finally, I hope this will be helpful the next time you’ll be out and about shopping for your tablet of choice. 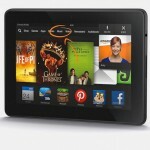 Just remember to choose your best budget tablet – buy cheap and think quality. If you would like to read our article about top 10 tablets in 2013 click here!